The Town of Montreat has a brand new “Tree Management Guide” that forms the foundation for an effective, systemic and proactive tree care program along the Town’s rights-of-way and public properties. The guide also contains valuable information concerning topics such as wildfire preparedness and native tree planting tips that address wider interests of the community. Trees as an essential part of the Montreat social, economic and environmental fabric and have been celebrated since the community’s founding a century ago. The recognition of Montreat as a “Tree City USA” in 2015 formalized the community’s commitment to maintaining the forest canopy that makes the town a special place to live and visit. Trees shade our homes, institutions, businesses and streets. They clean the air and water, reduce storm water run-off, increase property values, reduce energy costs and make neighborhoods greener, safer and healthier. The guide was adopted unanimously by the Town Council in July, and resulted from a year-long effort by the Montreat Tree Board. The board is charged with addressing issues concerned with the public trees of the community. See http://www.townofmontreat.org/TreeBoard.php . Thus it deals with topics such as dead and at-risk trees along roads, for example. 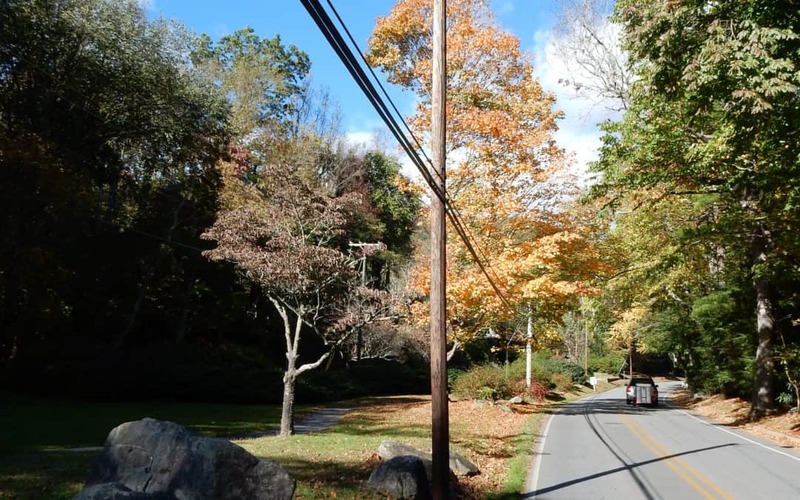 It also will be addressing best practices for maintenance of trees along utility lines, as pictured here. It is the purpose of the guide and part of the mission of the Tree Board to provide data and other information for all entities and members of the Town to better maintain Montreat’s tree population. The management guide includes sections on the history of Montreat’s woodlands, a description of Tree City USA activities, results of a 2018 inventory of trees, educational opportunities for homeowners, and various guides to tree and shrub planting and protection of buildings from wildfire. A pdf of the guide is available at http://www.townofmontreat.org/documents/TOMTreeManagementGuideAll.pdf. Annual Native Plant Sale & Arbor Day Celebration, April 27, 2019, 9 a.m.-2 p.m.